Ever and Forever Memorial Garden - a memorial garden open 24 hours. 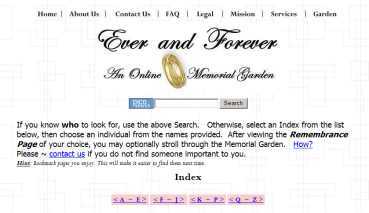 This web page design uses an index to enable looking for someone, and optionally 'stroll through the Memorial Garden'. Go there now to see how this is done.